August 9, 1930: The Fleischer Studio's Betty Boop sashays onto the screen (as a dog!) in the cartoon short Dizzy Dishes. August 10, 1950: Director Billy Wilder is accused of biting the hand that feeds him with his darkly funny look at Hollywood past, Sunset Boulevard. 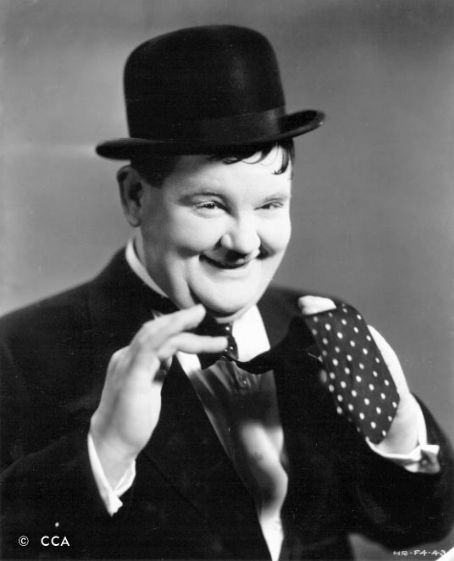 August 7, 1957: Oliver Hardy, corpulent, tie-twiddling half of the acclaimed comedy team with Stan Laurel, dies at age 65. August 13, 1967: Arthur Penn's biodrama Bonnie and Clyde, starring Warren Beatty and Faye Dunaway, ushers in a wave of screen realism and violence. August 9, 1969: A massacre in the Hollywood Hills claims Roman Polanski's wife, Sharon Tate, and four others; the "Manson Family" will be convicted in Jan. 1971. August 11, 1976: Depicting, ironically, a famed gunslinger's battle with cancer, John Wayne's last film, The Shootist, opens. August 12, 1988: Director Martin Scorsese's controversial The Last Temptation of Christ opens to protests from religious groups. August 13, 1997: American audiences are introduced to a British slang term, thanks to the unexpected comedy hit The Full Monty.